Latest on Thursday millions of California's constituents must have realized that they made a serious mistake when electing Arnold Schwarzenegger as their Governor. Exchanging Governor Gray Davis for a person nicknamed “The Terminator” might have looked good for starters, but it seems that most voters overlooked the fact that The Terminator solved his problems with his muscles, not with his brain. by all kinds of different consumer groups. LULAC might be interested to know that he vetoed a bill that would have created a Commission on Latino/Latina Affairs to advise the governor, Legislature and state agencies on issues relating to the social and economic development of Hispanic communities. loan interest rates, set standards for "certified" used cars and required disclosure of certain "add-ons" to car sales contracts. It fell by the wayside as well. interest among homeowners living in associations. management companies and board members. A bill that found nearly unanimous support in the legislature. The CA Senate voted 32-1 in favor of this bill! But Schwarzenegger in his infinite "wisdom" vetoed this bill as well. His veto message (see below) sounded like it was written by one of the industry lobbyists. It's like speaking to a misbehaved child. "Sorry, I couldn't get you your candy-stick this year, but if you behave well and bring home straight As you might get a little piece of candy next year." Sorry Governor, we homeowners want this bill -- and not a few crumbs thrown at us to shut us up! Do we need to wait until 2006 to make that clear? The same person, who as a main attraction of the Republican convention talked about his humble upbringing, has obviously quickly forgotten where he came from -- a little state in Central Europe, where homeowners' associations are illegal. A recent attempt to convince Europeans about the advantages of these associations was clearly turned down. Europeans consider this kind of associations a breeding ground for little dictatorships. But it seems that Schwarzenegger doesn't have the wisdom of his former countrymen. There is definitely not much guessing going on why this happened. All these vetoes of consumer-friendly bills were a payback for all the industry campaign donations that helped him to get elected. If my memory serves me right, America already had once a Governor with an advisor named Benson. The TV series was as well created in Hollywood where The Terminator became famous. Only the first name wasn't Yolanda and that series was funny! This chapter definitely was not! But if Schwarzenegger is still interested in truthful statements, he should quickly change the headline of his website from "The People's Governor" to "Just Another Industry Governor." 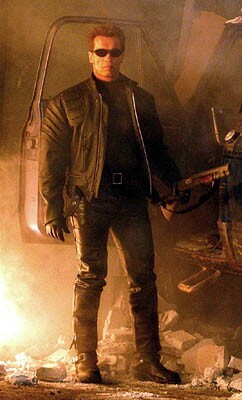 GOVERNOR ARNOLD SCHWARZENEGGER -- THE TERMINATOR! I am returning Assembly Bill 2598 without my signature. This bill makes sweeping changes to the laws that govern Common Interest Developments (CID) and the foreclosure process for failure to pay delinquent homeowners’ assessments. While the intent of this legislation is laudable and intended to protect homeowners from being foreclosed upon for small sums of delinquent assessments, this bill is overly broad and could negatively impact all homeowners living in CIDs. This bill could unfairly result in increased assessments for other homeowners who pay their assessments in a timely manner and may delay the transfer of real property in CIDs due to the lien procedures set forth in the bill. Foreclosure should be the last course of action taken against a homeowner. If there were more open discussion between homeowners and their associations, many conflicts could be resolved. That is why I recently signed into law AB 1836 (Chapter 754, 2004) and AB 2718 (Chapter 766, 2004). These bills establish methods to encourage more disclosure and better communication between homeowners and their associations. Agencies to work with all of the interested stakeholders to develop and ensure that the process for collecting CID homeowners’ assessments is refined so that all homeowners are treated equitably and foreclosure only occurs after every reasonable alternative is exhausted.